A reflective essay is an essay where you are required to write down your feelings, often personal, in the form of an essay. It reflects your real life experiences as the aim of the essay is to present your experiences, opinions, beliefs, viewpoints on any given subject, topic or incident. This makes writing a reflective essay not only interesting but challenging and intriguing at the same time. It tests the writing skills of a student as to write a good reflective statement, students should be having a good amount of creativity as well as organizing skills. Merely thinking creatively and writing what comes to your mind will not help you in making a good reflective statement. You need to have good organizing skills too apart from good writing skills so that you can place your thoughts and memories in a coherent and logical order. 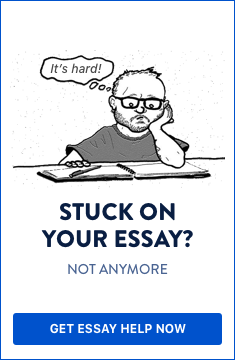 At this point you must be thinking – “if writing a reflective essay involves so many parameters and intricacies, then how am I supposed to write it?” There is nothing to worry about. The tips outlined below will help you write a reflective essay effectively. Before writing a reflective essay you should first try to make an outline or a journal kind of entry so that you can note down your thoughts and memories about a particular incident, event, episode, etc., that had some kind of impact on you. After you have carefully jotted down your memories, it is now time to delve in the actual essay. The topic of the essay should be presented in the introduction part of the paper, i.e., in the opening part of the essay. For example, an economic crisis (Eurozone), global recession, unemployment, any natural disaster, a cultural event that you have attended, etc. The topic can be yours or it could have been provided by your teacher/supervisor but you need to present it in the introductory part of your essay so that the reader may get acquainted with the topic at an early stage. Writing about the topic or introducing the topic at a later stage will make it less interesting for the reader. After mentioning the topic in the introduction part, it is now the turn of the main essay to be written in well laid out paragraphs. Here, you have an opportunity to explore your creativity and you can let out your thoughts and emotions in the main body paragraphs. Be careful on the usage of grammar and sentences as you might tend to get carried away with your emotions. Use your outline or journal as a guide in writing the essay. You should support your ideas with arguments, examples and ideas in the main body. Reflect on your memories, feelings, experiences, emotions for the topic, incident or event on which you are writing. After you have exhausted all your creativity and memory, you should start winding up your essay in a neat and structured fashion in the form of a concluding paragraph. The conclusion should contain a brief summary of your thoughts that you have mentioned in the body paragraphs. You should restate your main ideas on the topic, even, incident and you should provide an afterthought in the form of an ending sentence. This will keep your readers engaged and interested in the topic and essay. Finally, don’t forget to do a thorough revision of your essay, as it is normal for any student to make mistakes in the first draft. You should re-read the entire essay thoroughly looking out for spelling and grammatical mistakes that might have crept inadvertently in the essay. If you follow the above steps, you should find writing a reflective essay not only engaging but mentally stimulating too.